Driven by his appreciation for high level craftsmanship and traditional upholstery Patrick started his business in 1985 having worked as an upholsterer for traditional furniture manufactures and a luxury ocean cruiser company. 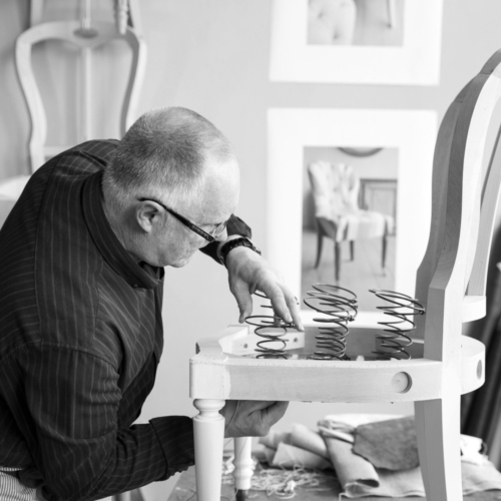 He has been an advocate for the trade for 41 years; his experience as an Upholsterer and ability to work with a varied client base has enabled the growth of Notley Upholstery as a business. Patrick's ability to visualise a projects requirements allow him to work accurately when it comes to patterning up a project and overcoming any obstacles that may arise. 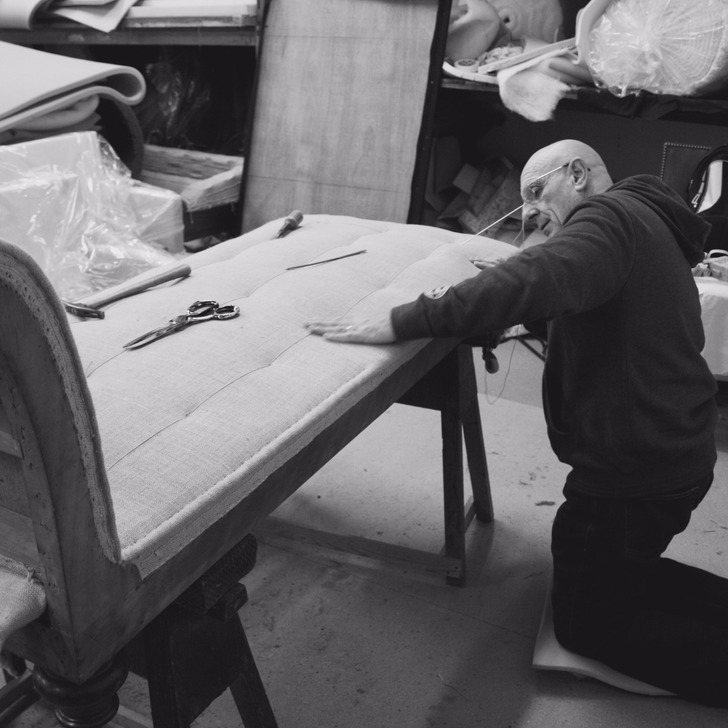 Since leaving school in the 1970’s David’s appetite for the job has seen him through 47 years as an upholsterer, he has a wealth of knowledge in both modern and traditional upholstery techniques. David’s understanding of the trade sees him un-phased by any task at hand. His experience allows him to work confidently on any piece of furniture and complete work to the highest possible standard. As the newest member of the team Hayley joined Notley Upholstery to learn the trade. With a background in development planning she recently decided upon a complete career change in order to pursue her passion for upholstery. 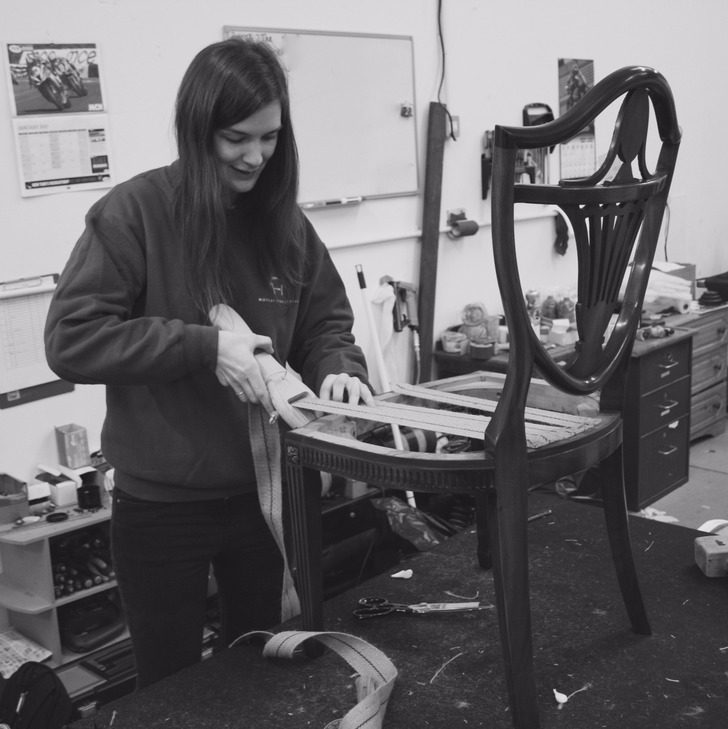 Previously attending a training course affiliated by the Association of Master Upholsterers, she now looks to draw from the experience of her co-workers with the ambition to become a proficient traditional upholsterer. "Patrick upholstered an old family, double drop end chesterfield for me. Though I had known him for several years and knew he was an upholsterer, I had no idea of the craftsman he is. The standard and quality of his work is superb. He is a unique craftsman in his field and the attention to detail is amazing. From what I've seen in his workshop every finished piece is showroom quality. I'm sure this trade is a dying art and Patrick is one of a kind and at the top of his profession."